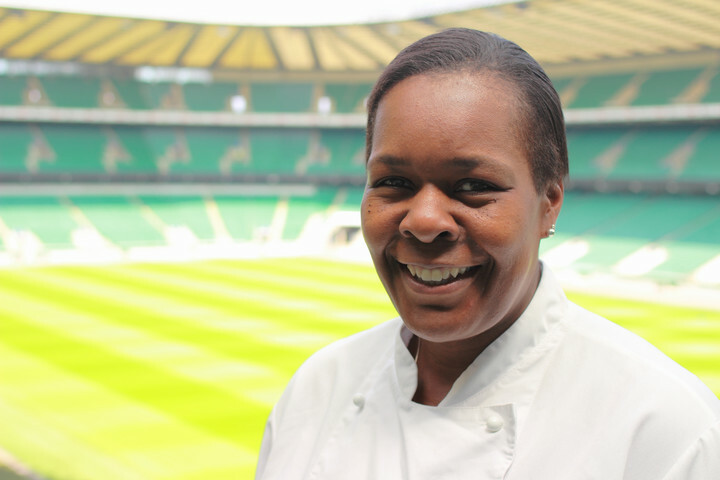 With over thirty years of experience working as a chef, Jacqui explains that passion, an enthusiasm to learn and having the right support and encouragement is needed for women who are considering a career in the culinary industry. Jacqui always knew she wanted to be a chef and her love of food came from cooking with her mum and family as a youngster. She headed to catering college after finishing school and has since worked in various hotels, restaurants and catering companies across the UK and abroad, including a five-year post in Bermuda. Having worked in different sections of the kitchen, Jacqui has always had a love for baking after being inspired by one of her college teachers. She explained that she has gained experience in various roles but has always found her way back to working as a pastry chef. 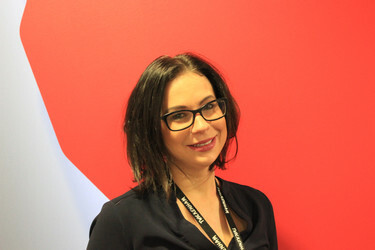 Jacqui has now worked for Levy Restaurants UK, part of Compass Group UK & Ireland, for over five years. 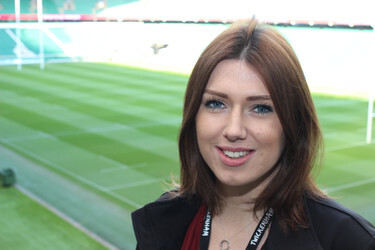 She currently works as head pastry chef at Twickenham Stadium, catering for private events as well as thousands of rugby fans during match-days. "I think programmes like Women in Food are extremely important to encourage more women to consider working as a chef. The contract catering industry offers great flexibility and is perfect for women who want to develop their skills as a chef but also have a family to look after. It is also important for women to have the right support and development opportunities so that we can retain the talent that we already have. Working in a kitchen is challenging but as long as you're prepared for this and you're keen to learn, there is no reason why anyone won't succeed." "I've really enjoyed my time at Compass. Working in a large stadium environment naturally comes with its challenges as it can get extremely busy on match days, but it is rewarding when you see the end result of what you have produced. I work with a great team and I think it is important to always have a mixture of personalities in the kitchen so we can learn from each other. 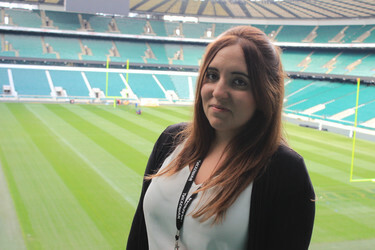 I plan on continuing to develop my career with the business whilst also guiding my team to further enhancing the great skills they already have."